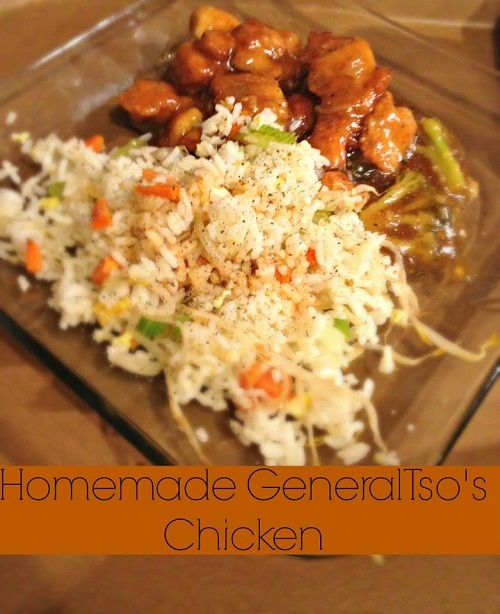 This General Tsos Recipe is simple and delicious! 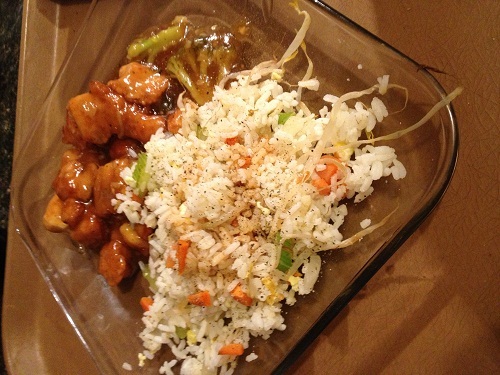 When I was a meat eater, General Tso’s Chicken was my favorite item to order at our local restaurant. Think you can’t make it at home? You can make this at home healthier and cheaper! Let’s get started! You will want to mix this in something that you can shake it in, shaking works MUCH better than stirring in this case! Once done with that, refrigerate. Next, you need to make your chicken breading, stir the three ingredients together. Keep in mind that this breading is going to be VERY thick and pasty like. Dip each piece of your chicken into the breading and coat, then set aside. Once you have all your chicken dipped, you can get out your frying pan and put oil in it. Once the oil is hot, begin frying your chicken! Be sure that all the chicken gets browned on every side to ensure that is cooked all First you are need to make you sauce! Combine all of the ingredients in a jar or something that the way through. Once all your chicken is fried. Get a separate pan and put just a little drop of oil in it and throw in your broccoli to soften it. Once the broccoli is softened, pour your liquid sauce mixture into the pan, but you may wanna give it a little shake again! Allow your sauce to heat up and begin to boil. It should begin to thick, once it has reached a thicker consistency, like as if you got it from a restaurant throw in your chicken and stir everything together! Serve with or over rice. Now you’re done! That was pretty easy right? Just wait until you try it, you won’t be able to put it down! I hope you enjoy this recipe! yum! found you on Pinterest – I’m going to try to make this tonight.